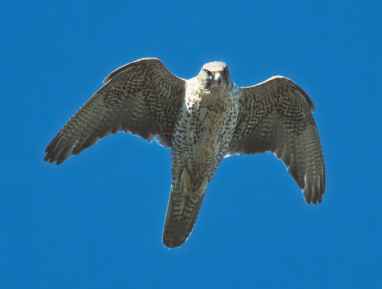 Physical characteristics: The gyrfalcon (JERR-fal-kun) is the largest bird in the falcon family. Males weigh only about 65 percent as much as their mates. 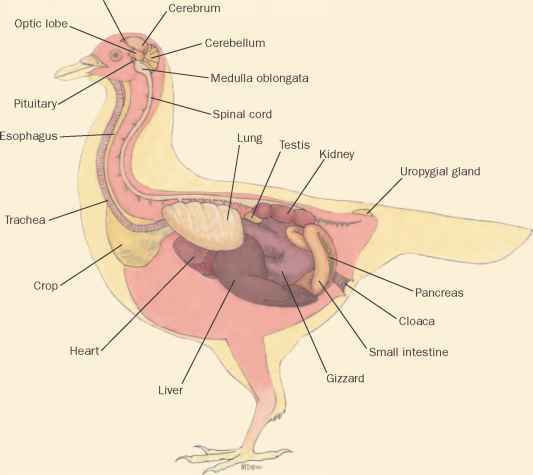 The birds' length varies from 18.9 to 25.2 inches (41 to 64 centimeters) from their beaks to the tip of their tails. Some gyrfalcons are almost pure white, others are gray with streaks, and still others are mostly dark brown. Geographic range: Gyrfalcons breed around the Artic circle in Iceland, Greenland, North America, Europe, and Asia, and some spend the winters farther south. They live the farthest north of all the raptors that hunt during the day. 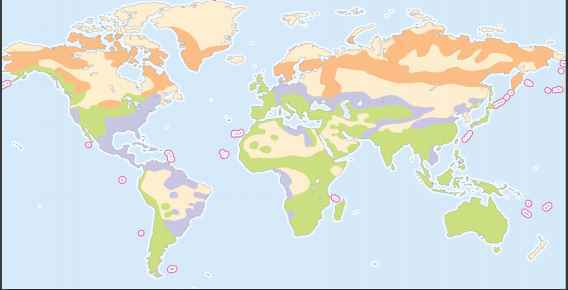 warmer grasslands, farmlands, seacoasts, and river valleys where prey is plentiful. Diet: Birds (especially ptarmigans [TAR-mih-gunz] and grouse) and mammals (ground squirrels and lemmings) make up most of the gyrfalcons' diet. They fly low and fast to surprise their prey, and they grab the prey with their feet. The gyrfalcons that live on seacoasts often kill nesting seabirds and waterfowl. Behavior and reproduction: Gyrfalcon pairs breed by themselves. They lay their eggs on cliff ledges or in nests built by raves, eagles, and other birds. The number of eggs laid is usually three or four, but they may lay as many as seven. The female stays with the eggs and chicks while the male brings food. But by the time the chicks are ten days old, she has to help feed them. The young birds can fly at about seven weeks. Gyrfalcons and people: Falconers (people who train birds to hunt) often use gyrfalcons. The birds are raised in captivity now, so falconers do not have to take them from the wild.